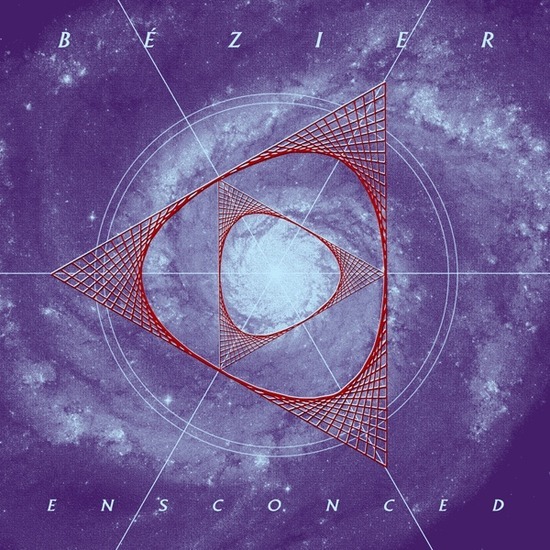 Dark Entries is proud to release the debut vinyl EP from Bézier entitled “Ensconced.” Bézier is the moniker of all-live-analog electronic wizard Robert Yang from San Francisco. Enchanted by the Cybernetic Broadcasting System (CBS), Robert started DJing as Robot Hustle, joining the Honey Soundsystem collective in 2007. Robert writes hooks, patterns and melodies in an automatic, stream of consciousness fashion. Memory and nostalgia play a big part in constructing his music. “Ensconced” is the follow up to Bezier’s debut cassette, released in 2012 on Break-Up records. The tile relates to themes of comfort and safety as well as complacency and entrapment. Influences range from the futuristic landscape of Syd Mead to the melodic energy of Patrick Cowley and the subdued, hidden motifs of My Bloody Valentine’s “Loveless.” Bézier blends elements of Hi-NRG and dark dance to drive the mysterious underwater instrumentals of “Ensconced.” Bezier’s studio set up includes a variety of vintage Roland and Korg synthesizers as well as the Italo Disco favorite LinnDrum. These six tracks were written, produced and mixed by Bézier at his home studio in San Francisco between 2009 and 2013. All songs have been mastered for vinyl by George Horn at Fantasy Studios in Berkeley. The vinyl comes housed in jacket featuring a Bézier line drawing illustration by our in-house designer Eloise Leigh. Each LP includes indivual postcards with drawings and liner notes. Let Bézier take you on an enchanted dance journey while heavily under the influence of DIY electronics.